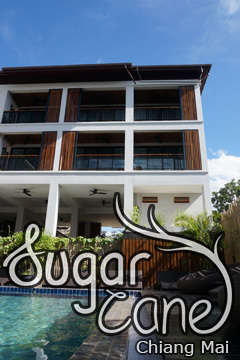 Vivacity Home - San Sai, Chiang Mai, Thailand - Great discounted rates! 7.2 out of 10 based on 50 verified user reviews via Agoda. Set in a prime location of Chiang Mai, Vivacity Home puts everything the city has to offer just outside your doorstep. The hotel has everything you need for a comfortable stay. Take advantage of the hotel's restaurant, safety deposit boxes, Wi-Fi in public areas, bicycle rental, family room. Comfortable guestrooms ensure a good night's sleep with some rooms featuring facilities such as mini bar, complimentary bottled water, refrigerator, shower, balcony terrace. Recuperate from a full day of sightseeing in the comfort of your room or take advantage of the hotel's recreational facilities, including garden, outdoor pool, massage. Vivacity Home combines warm hospitality with a lovely ambiance to make your stay in Chiang Mai unforgettable. Vivacity Home - Chiang Mai classifies itself as a 3 star hotel.